In August 2018, MSF staff register the number of displaced families from the village of Tindinbawen, northern Mali, for a distribution of non-food items. “The people we met told us how the attackers stormed the village, burned houses and executed a number of men. People had no choice but to flee for safety in the surrounding villages,” said Rodrigue Nganaboy, MSF field coordinator in Ansongo. “When we first arrived, the living conditions were deplorable: access to water and food was limited, and people had no household or hygiene items,” Rodrigue explains. “There were also no shelters or mosquito nets to protect them from the elements. None of the children were vaccinated and pregnant women hadn’t received any medical attention.” Apart from some food donated by the local community, displaced people in Tin Hama had little else. MSF staff distribute non-food items to 80 displaced families from the village of Tindinbawen, northern Mali, in August 2018. MSF and the Ministry of Health vaccinated 97 children against measles and other potentially deadly childhood diseases. “To prevent outbreaks of disease among the displaced people, we have prioritised a vaccination campaign to immunise children against the most dangerous diseases,” says Rodrigue. An MSF mental health team has provided care to 103 people through the psycho-education activities. MSF has also distributed essential relief items including mosquito nets, mats, plates, clothes and pans to displaced families. However, the need for food remains a real concern, and the risks of malnutrition will only increase if people cannot access food aid soon. “These displaced people are relying on donations of food from the local community. But we believe this support won’t last, since the local people don’t have much themselves. We are concerned about the risk of malnutrition in the coming weeks,” says Rodrigue. 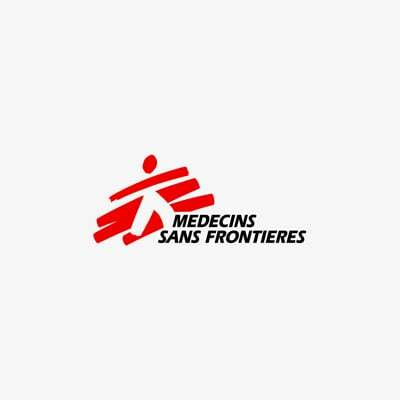 In Mali, MSF teams are working in the Kidal region and in the districts of Ansongo (Gao region), Koutiala (Sikasso region), and Ténenkou and Douentza (Mopti region), in particular strengthening the provision of maternal and paediatric healthcare. In Ansongo, MSF has been supporting different departments in the town hospital since 2012. Teams provide outpatient consultations, emergency care and hospital admissions, surgery, maternal healthcare, chronic disease treatment, nutrition services, neonatology and paediatrics. In addition, victims of violence, including victims of sexual violence, are cared for and provided with psychological support. MSF provides referrals to community health centres and evacuates more serious cases to Gao hospital. Moreover, between July and December, when nomadic groups migrate, MSF teams ensure they have access to healthcare by training community health workers to diagnose and treat the most common diseases.